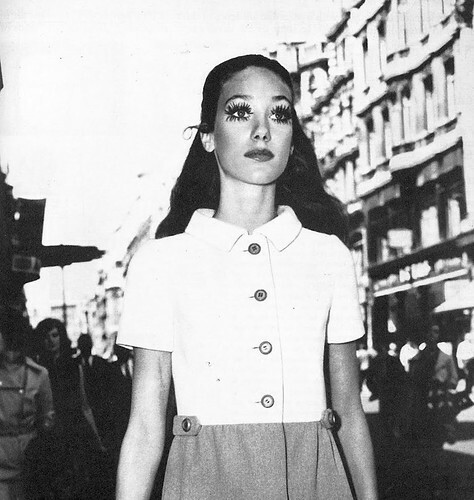 Model Marisa Berenson wearing Ungaro and photographed by David Bailey for Vogue UK. August 1968. Would you wear this dress? How about the mega-watt lashes?!? The eyelashes are ridiculous but she looks stunning. And yes, if I had a figure like Marisa, I would totally wear that dress. I would definitely wear the dress, not to sure about the eyelashes though. Vintage look nice to read your blog.